Problems with road trips and kids? Have you ever been on a road trip with kids? If you answered yes, then you know what a messy car is! My poor daughter and her family drove from Nebraska to Alaska with a 3-year-old and a dog. When I recently showed her the Travel Tray, she wished she would have had that! By the time they were home, there were crumbs and spilled drinks throughout the car. 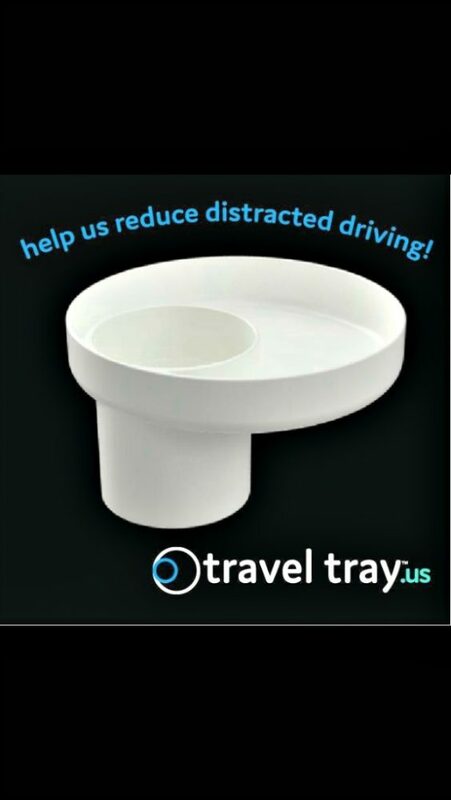 Instead of feeling regret after traveling with your child or children, get yourself a Travel Tray. It will change your entire trip. When my kids were small, I was always reaching back or helping them with something. That is distracted driving, and it is dangerous! This happens with most parents even on a quick drive. The Travel Tray will help your child be in control of their own snacks and drink. It will make them feel important, and you can focus on driving. Especially if you are on a long trip. You can enjoy seeing the beautiful sights and teaching your child about our gorgeous world. No more irritability or frustration. Go have a calm, relaxing drive! The Travel Tray won’t fix everything kids do, but it certainly helps where it is needed. So whether you are going on a long car ride, or just running to the store, you will enjoy the ride instead of worrying about the mess. 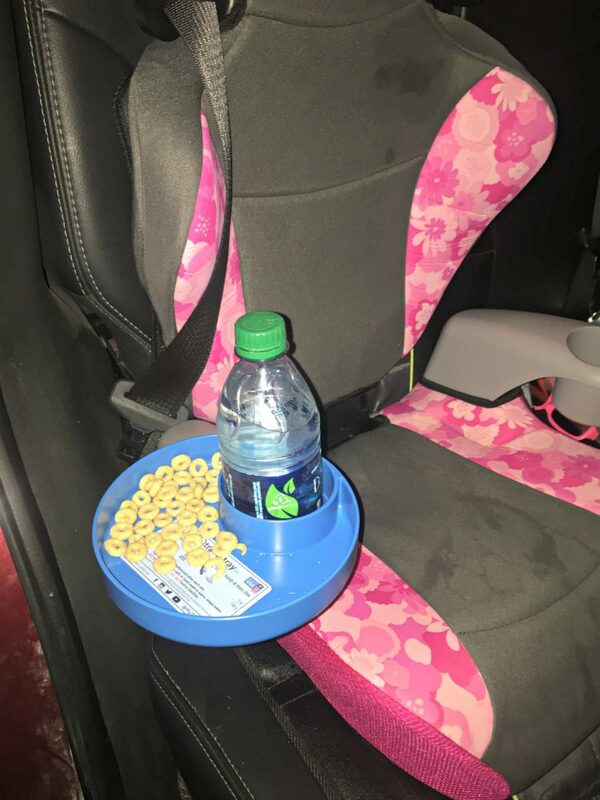 Kids won’t have to try and balance their food/drink on their laps…we know most kids have trouble doing that. I even have problems with that. I was lucky enough to receive 2 Travel Trays from the company. It fits into most drink holders, whether it be in a car seat or in your car. It has a tray that holds the snacks, and it goes around the drink holder. So simple but amazing! The Travel Tray holds both on-the-go cups and many different bottles. I used mine for some cereal and a water bottle. It worked perfectly. The only downside I saw is that it didn’t fit as snugly as I would have wanted it to. However, it certainly won’t make the food or drink fall over. It does fit most drink holders/car seats. The Travel Tray comes in 11 different colors to choose from. This amazing solution to messes is only $14.99! If you would like to buy your own, click on the link below. Trust me, you will be very glad you did…and so will your car!